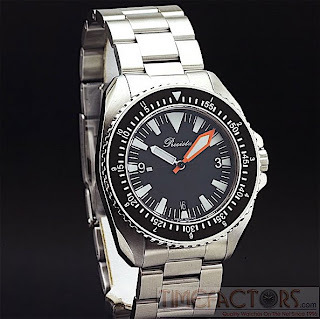 Time Factors of UK has launched the new Precista PRS-3 300M Diver watch. This watch is a re-introduction of the PRS-3 that was first launched in 2003. The new PRS-3 has been redesigned from scratch. It is bigger, features a thicker sapphire crystal, an improved screw-in crown and crown assembly. 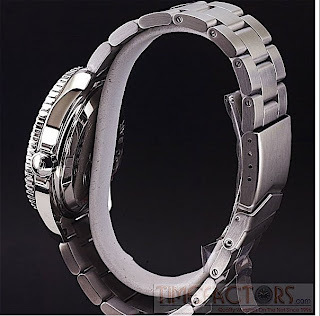 It will also feature a new metal movement holder and a solid link steel bracelet and solid end-pieces. 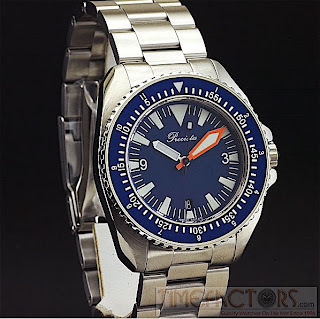 There will be 2 versions of the new PRS-3 300M Diver. There will be a regular version with a black dial, white framed plongeur hour hand and orange framed plongeur minute hand. It will also have a regular elapsed time bezel insert. The second version is a limited edition model. 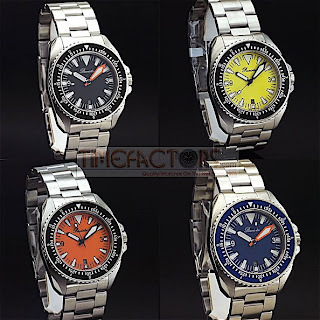 The limited edition model will feature a combined countdown/ 12-hour bezel insert and will feature four different dial colour, black, orange, blue and yellow. Each colour is produced in a limited run of 50 numbered pieces. 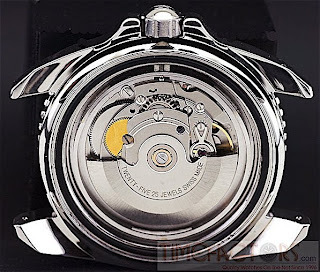 The watch will be fitted with the popular and reliable ETA 2824-2 movement. Welcome. As per the rest, comments deleted.